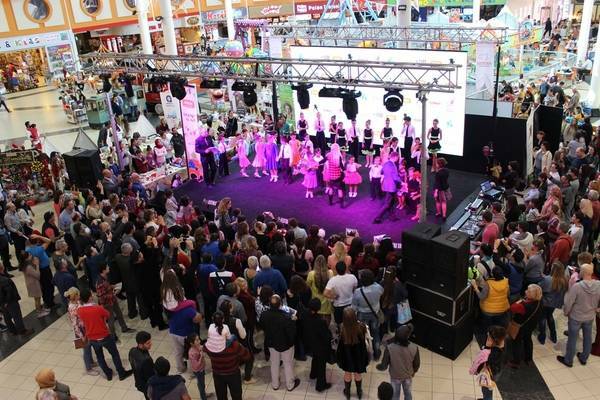 The Antalya area of Turkey has a Russian ex-pat community of around 9,000, and last weekend has seen the start of the seventh annual Russian-Turkish Culture Festival to be held at the Deepo Shopping Mall. Antalya’s friendly community always recommend events as such. On Saturday the 3rd of December, the festival has seen Russian and Turkish art exhibitions by young children from all over the Antalya region, live music by the municipal music band, and a children’s talent completion, with a live puppet show also kept the children entertained. Whilst last Sunday the 4th of December there were more singing and dancing from the children, and the local youth choir, with circus performers and acrobats also took the stage. Guests are offered samples of some tasty Russian and Turkish dishes – and all in the name of fun in this multi-cultural modern city.